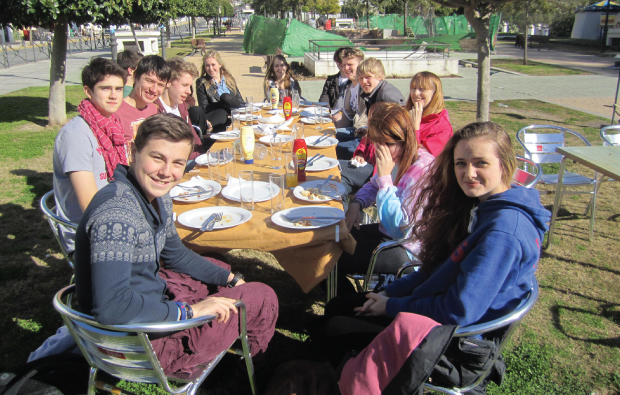 Students in Hampshire said ‘hola’ to GCSE learners from a nearby school with a joint trip to Spain. Alton College youngsters were joined by pupils from Amery Hill School as they visited Cadiz to experience local culture and develop their language skills. The students stayed with families in Jerez de la Frontera, Cadiz, studied at a language school and enjoyed the local sights including a much-loved local carnival. Olga Culebras, head of Spanish at both Alton College and Amery Hill School, said: “Once again our students were great ambassadors for both the school and college.